A driver uses a phone while behind the wheel of a car. Nearly 1,000 people have been ticketed for handling a cellphone while driving since the Hands-Free Georgia Law took effect July 1, officials say. According to the Georgia State Patrol, 961 drivers were caught violating the law during its first month. The law makes it illegal to handle a cellphone with any part of the body, GPB News previously reported. 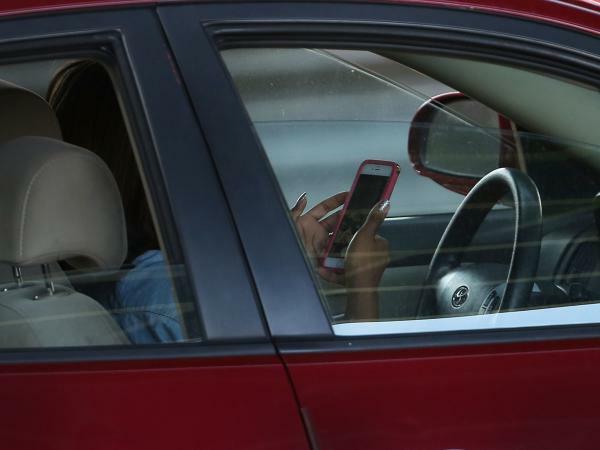 Most of the citations, 588, were given out to motorists for holding or supporting a mobile device, The Department of Public Safety told the Augusta Chronicle. That figure doesn't include citations by local police and sheriff's offices. Drivers failing to exercise due care resulted in 244 citations and 65 people were cited for texting while driving, DPS said.